Many thanks to all of you who have helping promote my romantic dinner giveaway by liking my new Facebook page and following me on Twitter. Also thanks to those who have been sharing their romantic Valentine’s Day stories on my giveaway post and on Facebook. Really great stuff! Go check them all out. So I suppose it’s my turn again to share about another of our Valentine’s Day celebrations. If you missed Anxiety Cure #1, The Numbers Game, you may want to go back and check that one out too. Installment number two of romantic ideas to delight your wife this Valentine’s Day is little less involved than the 100 things, but it’s still a very fun way to spend the day focused on building intimacy between you and your wife. 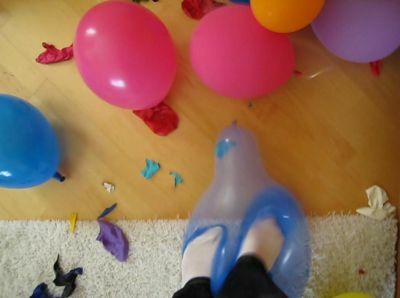 What you’ll need for this romantic idea: a sheet of cardboard or piece of foam core board (part of a cut-open box works fine for this), a dozen balloons (red, white and red, in keeping with the colors of the occasion), and a dozen of something that can fit inside a balloon. The “something” is up to you. It can be a dozen fun/romantic activities, a dozen love-coupons, or even a dozen little gifts. Of course the gift doesn’t have to actually fit inside the balloon, so instead, put something small representing the gift, a clue to where the gift is hidden or even just a piece of paper with a picture of it – use your imagination. I found it fun to mix it up and include some fun activities (like going to a romantic movie or a walk), some little gifts (like a box of chocolate covered cherries – her favorite), a poem I wrote, and some romantic activities (like a massage for her). Whatever dozen things you decide to use as part of this little game, you’ll need to figure out what can go inside the balloons. Stretch the mouth of the balloon open and push the item into the un-inflated balloon, then blow it up and tie off the balloon. Mount the balloons by cutting small x’s in the board and pushing the stem of the balloon through. 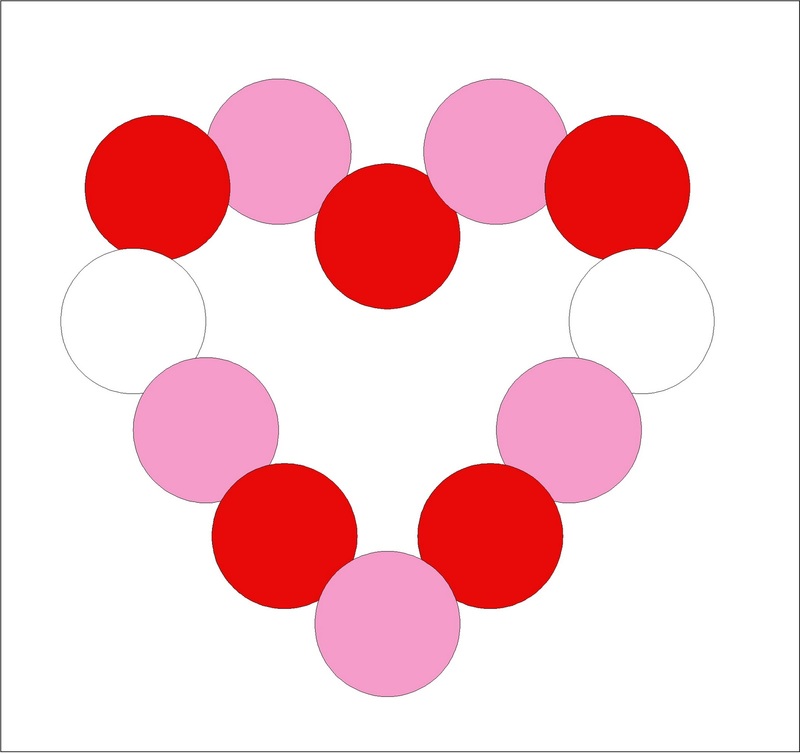 You can use a heart-shaped pattern similar to that shown in the picture at right, or whatever pattern you want. You can also add your own flare to this by decorating the cardboard in some meaningful way: pictures, sayings, Vday decorations, or whatever. 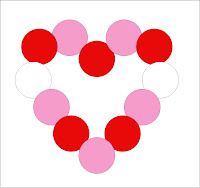 Present the board to your love along with a pin or something else sharp enough to pop the balloons. There are several fun ways of playing the game. The great part is that you get to make up the rules! If you want the balloons to be popped in a certain sequence, number them with a permanent marker. If you want it to be a total surprise have her approach the board blindfolded and see if she can pop one. You can raise the suspense level and say she’s only allowed to pop one balloon per hour, stretching the game out all day long..
As with V-Day Anxiety Cure #1, the whole point of this game is to make your wife feel loved, cherish and adored. Relax and have fun with it, but make sure she knows how much you care for her. If you end up giving this one a try, I’d love to hear back from you how it goes!